They didn’t have to wait long, they obviously have their humans well trained! 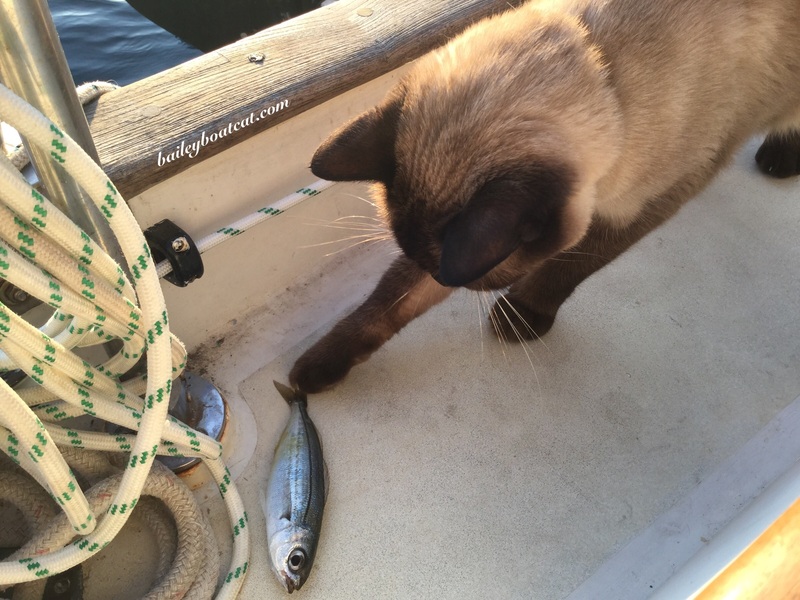 I decided to eat what the locals eat so I set my humans a fishing task…it took them a while but I was proud of them when they produced me a tasty little fish. Then straight away they caught another one! I enjoyed patting one of them but I just couldn’t bring myself to eat him so we threw them both back to swim another day. « The prettiest waters I’ve ever seen! I guess if its true where there’s smoke there’s fire, it should hold that where there’s smell there’s fish. Bailey looks like you had a blast with that fish! Seeing those kitties though waiting for their fish makes me sad. 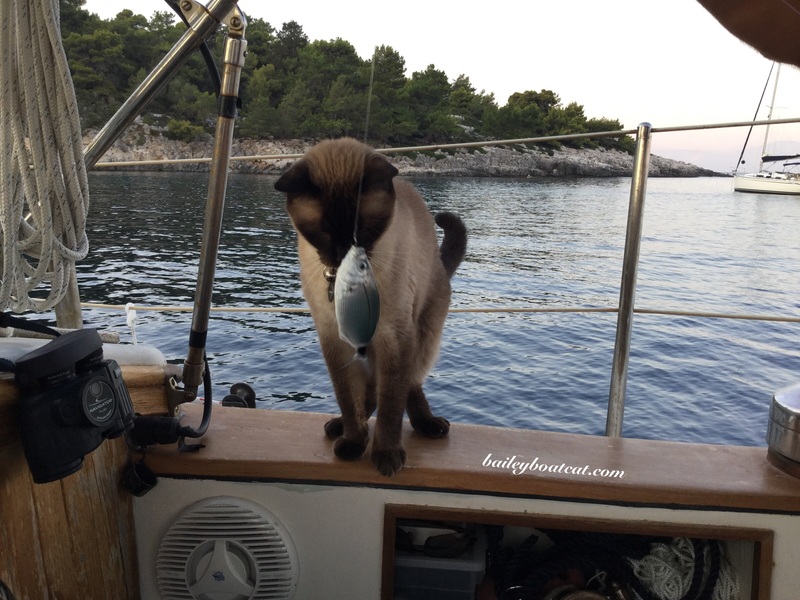 I know Greece has an ENORMOUS feral cat issue and they aren’t as warm-hearted towards their cats as we are in the U.S.
oh, Bailey, you had fun with that fish. Glad that people were kind to the kitties waiting for their meal. I always hope that no kitty goes hungry or unloved. I bet those fish were relieved to get back in the water! Well Bailey. I have fish in the oven! Feel free to send any you don’t want my way. That was sweet of you to throw him back in. 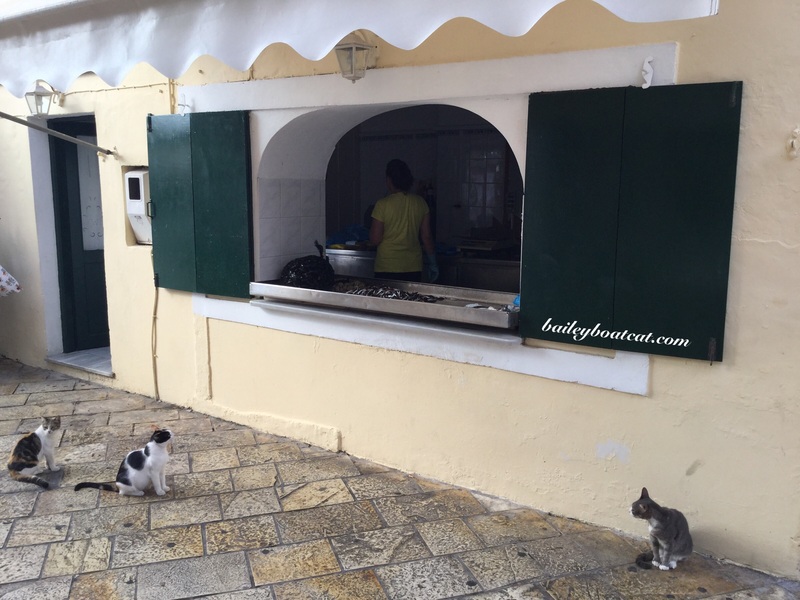 So nice the fish monger feeds the city kitties. We understand throwing those fishes back. Have a great day. I surely didn’t eat a dead fish either, B. Moms friend shared his ice pop with me! It was cherry. Yum. Bailey, You gorgeous cat…your ‘temper’ wouldn’t allow you to eat that fish, although I would (yes, I had fish today for lunch; I need the brain food!). You’re so sweet—I’m gonna eat some grass fed breakfast sausage and eggs. At least the cow was treated humanely, I assume ’cause I know the farmer. He’s very serious about providing quality meat. 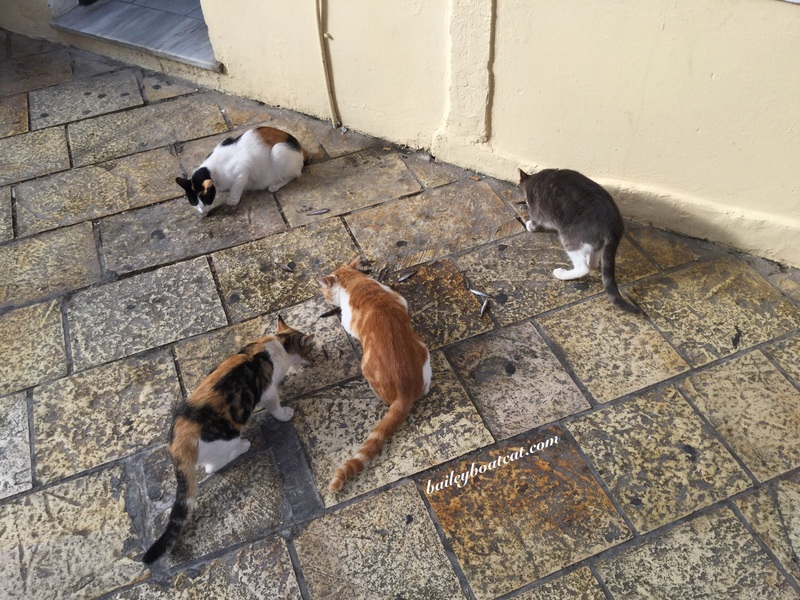 How wonderful that human feeds the neighborhood kitties some breakfast!